HP Spectre series 8th generation 2-in-1 convertible laptop, HP Spectre x360 has a 13.32 inches FHD touchscreen, powerful with the latest specs, lightweight, stylus pen, 360-degree flip design, better audio with quad speakers, long battery life, quad speakers and blazing fast speed with an SSD and a microSD card reader is also available. This HP laptop is available in different variants with Core i5, Core i7 processor. You can get high efficiency with intel turbo boost technology. It has a high-bandwidth 8 GB /16 GB 2133 LPDDR3 RAM and for the best performance, Solid state drive (SSD) is available in this laptop. The operating system is pre-installed with Windows 10 64 bit. The Corning Gorilla glass NBT protects the screen from the scratches. It has a wide touchpad and it is smooth to the touch. HP privacy screen feature is available at the extra cost, This feature eliminates the visibility of a screen to the others. On the right side of the HP Spectre x360, a fingerprint sensor, volume, Thunderbolt 3 with two USB Type-C port and at the left side, 3.5mm jack, USB 3.1, a microSD card slot with a power button. 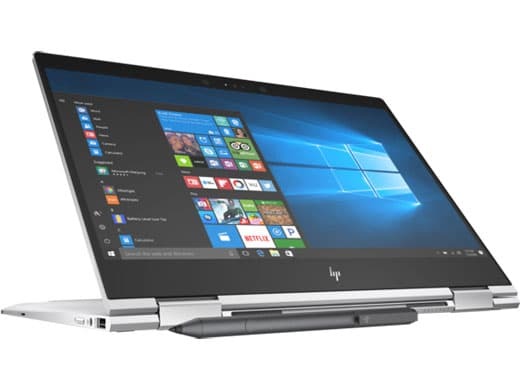 You can also attach the dedicated graphics card with a Thunderbolt 3 port on the HP laptop. The Thunderbolt 3 port is ideal for digital content creators because you can connect different devices for high definition videos. You can charge the stylus with a USB-C port. For the video calling with Skype or other available application in the market, there is a built-in HP Truevision HD webcam. It has a 3-cell battery and the battery life is up to 16 hours. The thickness of this HP notebook is only 0.5 inches and weight is 2.78 pounds. Especially thanks to Mr. Matthew Moniz for the detailed information in a video.